Your Paypal Account has been Restricted and Cannot Make Payment? Home / Internet / Your Paypal Account has been Restricted and Cannot Make Payment? One day, I intend to buy an online program for my business worth $129, as usual, I pay via Paypal from my phone. However I cannot get through, there was an error saying “We regret to inform you that this account has been restricted. 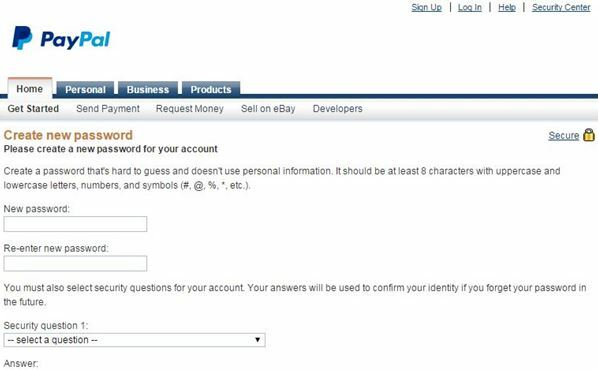 Please log in and resolve your restrictions.” This is not the first time I do Paypal payment using my phone and never find anything like this before. My Paypal account has been restricted? Quickly I log in to the Paypal account to resolve the problem, but I found nothing in there, everything seems normal, no problem to be resolved. 3. I have to re-confirm email addresses. After I did all 3 security check above, I can pay my payment smoothly. Whenever you experience “We regret to inform you that this account has been restricted. 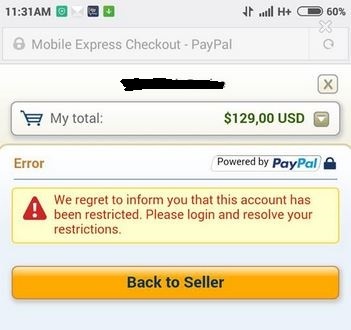 Please log in and resolve your restrictions.” error quickly login to your Paypal account from your computer, not the smartphone because smartphone not smart enough to display random security check.